Lobelia plant, Lobelia inflata, is also known as Indian Tobacco and Asthma Weed. An antispasmodic and expectorant herb often used in cough medicine. Lobelia plant is a native of northern USA and is adaptable to most soils and positions. Flowers are blue and appearing in summer and autumn. Readily self seeds. Drought and frost resistant. An annual or biennial plant. Growing to 0.6m x 0.3m. 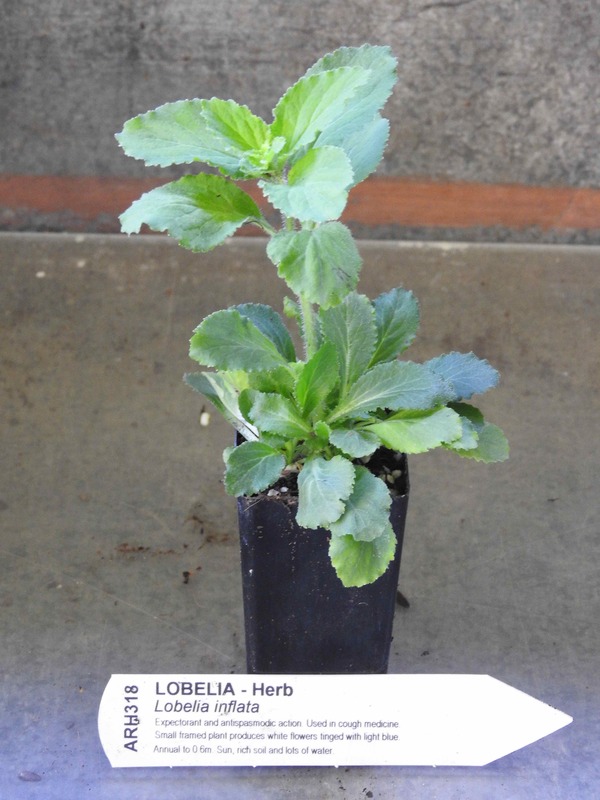 Be the first to review “Lobelia, plant” Click here to cancel reply.